Check out this list of horror movies that the news reported people getting sick from in the theaters. We all know a few of the films off the top of our head like The Exorcist and The Human Centipede II but do you know them all? Please don’t forget to like and share, thanks to Looper for posting this video. Below is the brief written list along with movie overviews and trailers. Official Synopsis: While on her bachelorette party getaway, Casey, the bride to be, gets a seemingly harmless bite from an unknown insect. After returning home with cold feet, Casey tries to call off her wedding but before she's able to, she starts exhibiting insect like traits. Between her physical transformation and her wedding anxiety, Casey succumbs to her new instincts and begins creating a hive that not only houses her translucent eggs, but feeds on the flesh of others. As her transformation becomes complete, Casey discovers that everything can change with a single bite. Official Synopsis: Jeff is an anguished man, who grieves and misses his young son that was killed by a driver in a car accident. He has become obsessed for revenge against the man and reckless with his wife and daughter. When Dr. Lynn Denlon, who has troubles with her marriage, is abducted by the deranged Jigsaw's apprentice Amanda, she is brought to a gruesome warehouse to keep John Kramer alive in spite of having a terminal brain tumor. Amanda puts a necklace gadget full of explosives around Dr. Lynn's neck connected to John Kramer's life support system, and tells her that if he dies the device will explode. Meanwhile, Jeff is submitted to a sick game of forgiveness with surprising dark consequences. Official Synopsis: Justine is a first-year veterinary student. Her elder sister is studying the same course at the university. Justine was raised a strict vegetarian but, as part of the hazing rituals, is forced to eat meat. Initially this has adverse effects but she soon develops a craving for meat...particularly human flesh. Official Synopsis: In New York, college student Justine joins a group of activists led by Alejandro and travels to Peru to protest against a timber industry that is destroying the Amazon rain forest. 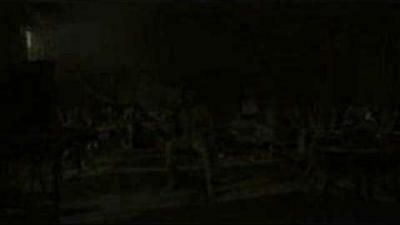 When the group is returning to civilization, the plane blows-up and crashes into the forest. Soon the survivors discover that they are not alone and they are abducted by a tribe of cannibals. Official Synopsis: Martin is a mentally disturbed loner who lives with his mother in a bleak housing project. He works the night shift as a security guard in an equally grim and foreboding underground parking complex. 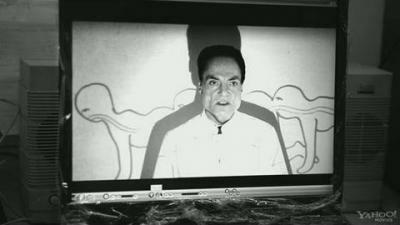 To escape his dreary existence, Martin loses himself in the fantasy world of the cult horror film The Human Centipede (First Sequence) (2009), fetishizing the meticulous surgical skills of the gifted Dr. Heiter, whose knowledge of the human gastrointestinal system inspires Martin to attempt the unthinkable. Official Synopsis: A POV, found footage horror film from the perspective of America's top genre filmmakers. A group of misfits are hired by an unknown third party to burglarize a desolate house in the countryside and acquire a rare tape. Upon searching the house, the guys are confronted with a dead body, a hub of old televisions and an endless supply of cryptic footage, each video stranger than the last.